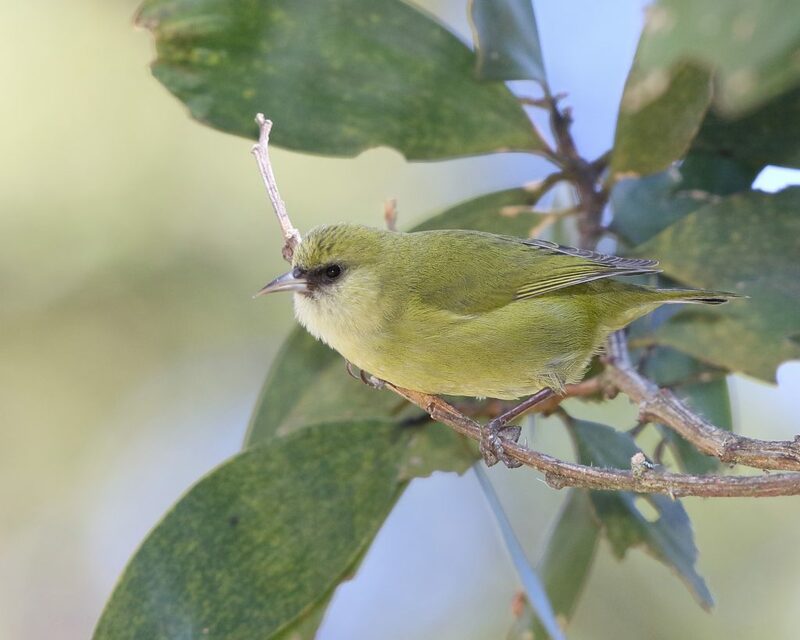 Amid the koa forest of the Puʻu Makaʻala Natural Area Reserve lives the Hawaiʻi Creeper (Loxops mana), a rare forest bird whose Hawaiian name has been lost for a century. But thanks to extensive research in the earliest documented literature, the Hawaiʻi Creeper’s name, ʻAlawī, and its significance, has been rediscovered. A naming ceremony was held today at the reserve to celebrate the rediscovered Hawaiian name of this forest denizen and increase awareness of this surviving species. 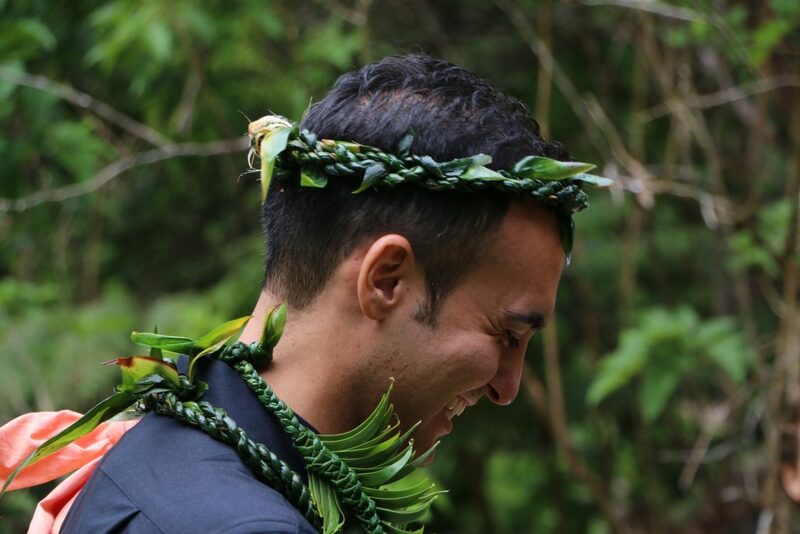 The mele inoa was performed by Hawaiʻi Volcanoes National Park cultural practitioner Noah Gomes and two others. Gomes, a recent graduate of the University of Hawai‘i at Hilo with a masters degree in Hawaiian language and literature, recently put forth convincing evidence that he had rediscovered the true Hawaiian name for this species. 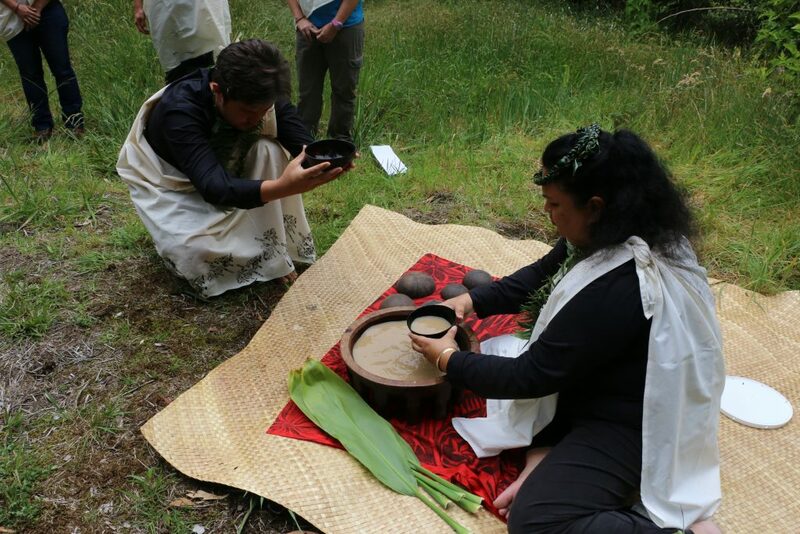 “Rediscovering the traditional name of the ‘Alawī strengthens the close relationship of Hawaiian culture with our native plants and animals. 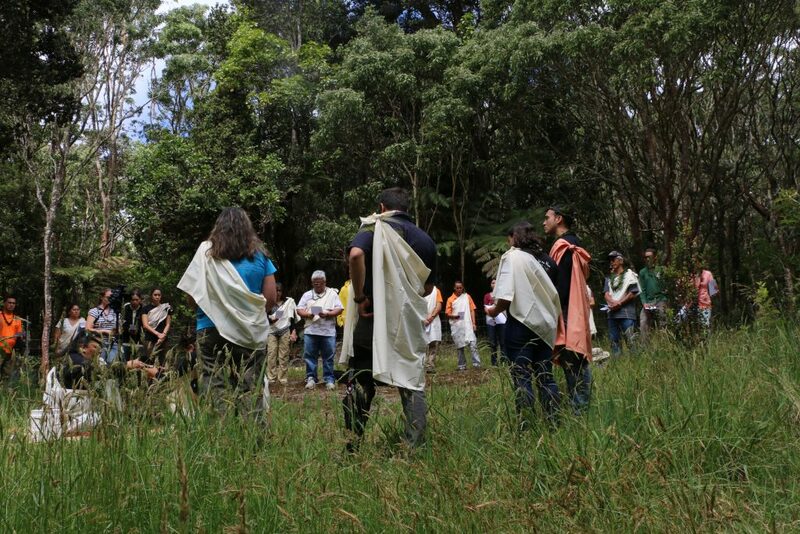 This celebration fills us with pride and a sense of kuleana to protect native forests – the home of these unique creatures, and the source of inspiration, beauty, and cultural identity,” said Emma Yuen, Native Ecosystems Program Manager, with the DLNR Division of Forestry and Wildlife. An assiduous researcher, Gomes pored through old Hawaiian language newspaper articles and other historical sources for his thesis which led to his suggestion that L. mana be known as ʻAlawī. This name was approved by the Hawaiian Lexicon Committee on February 25, 2017. An article about this research was published in the Elepaio journal, May-June 2017 issue. 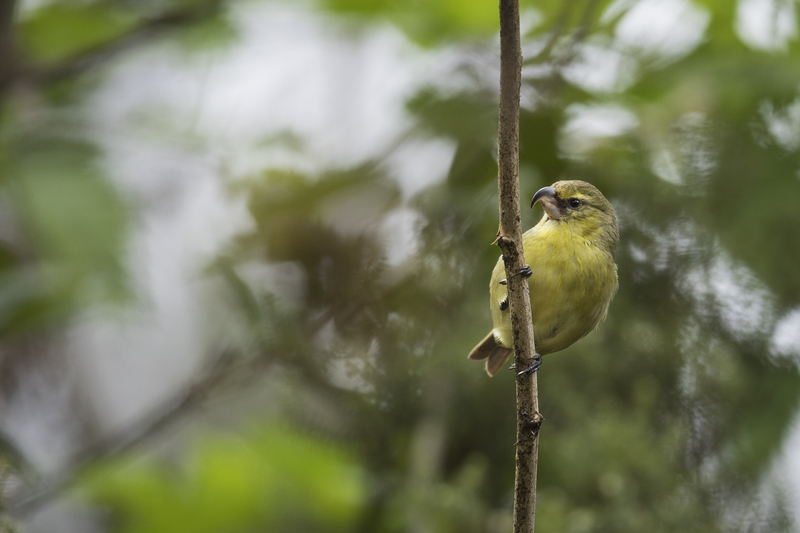 The diminutive yellow and green ‘Alawī is one of four endangered forest birds found only on Hawai‘i island. Formerly widespread and common, this bird is now restricted to high elevation rainforest such as found in the 18,730-acre Pu‘u Maka‘ala NAR. It’s located in the Puna and South Hilo districts and is managed by DOFAW. Superficially similar to the Hawai‘i ‘Amakihi, this species was overlooked by Western science until specimens of this “ʻAmakihi” made their way to taxonomists in England. But as its Western name indicates, this species differs from ‘Amakihi, most notably by its behavior. This insectivore favors koa trees (Acacia koa) where it creeps up the trunk of the tree foraging for insects. L. mana has been noted as a bird with a curious nature that leads it to approach humans in the forest. Some of the evidence supporting this naming came from the Hawaiian language newspaper Kuokoa Home Rula. The earliest reference to the ʻAlawī is in the Kumulipo, a Hawaiian genealogical chant of the birth of the universe. Gomes also translated the June 13, 1863 entry of a series of articles on native Hawaiian birds in the Hawaiian language newspaper, Ka Nupepa Kuokoa. From these descriptions, Gomes deduced that the ʻAlawī must be L. mana. The extinct Hawaiʻi island endemic Viridonia sagittirostris (another bird with no official Hawaiian name) could also possibly meet the description, but L. mana matches the C. virens size comparison and the M. obscurus plumage description much more easily. It was also historically much more common and easily observed, and therefore more likely to have had a name. It is probably impossible to know with complete certainty that the ʻAlawī is in fact L. mana but there is unusually good evidence supporting this argument. There are not many other possible candidates that match the identity of a conspicuous small grayish green forest bird currently lacking a known Hawaiian name. 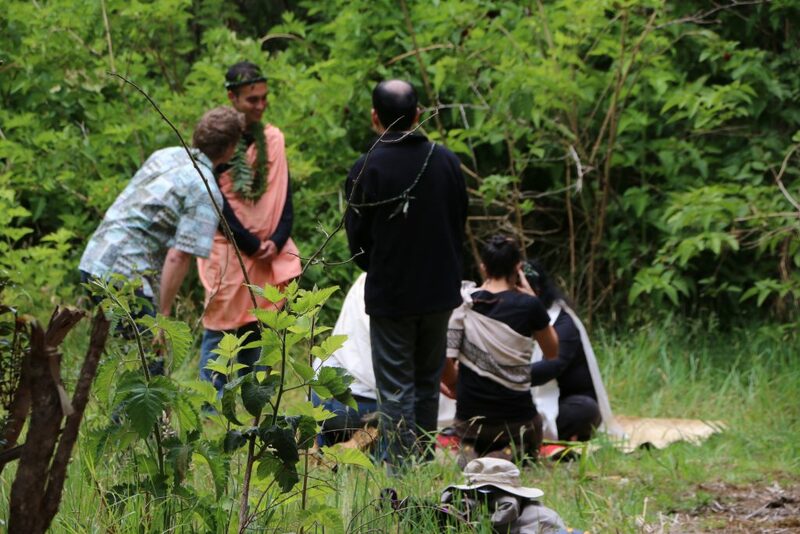 As more and more native Hawaiian species become endangered and even extinct, it has become critical to not only understand their ecological importance, but also the roles they play in our lives and those of our ancestors. 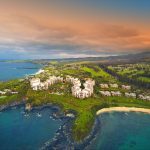 This discovery of the traditional name, ʻAlawī for L. mana reveals a new opportunity to preserve our Hawaiian cultural heritage and highlight the plight of this currently endangered species. Pu‘u Maka‘ala NAR was established in 1981 to protect some of the Big Island’s best wet native forest and unique geologic features. The wet koa and ‘ohi‘a forest of this reserve on the northeast flank of Mauna Loa are important habitat for some of Hawai‘i’s rarest birds, as well as several rare plants. A montane wet grassland occurs in the poorly drained portions of the reserve. Today, Hawaiian researchers, wildlife managers and elected representatives joined in a naming ceremony to honor this distinctive bird, in the Pu‘u Maka‘ala Natural Area Reserve (NAR) where the ‘Alawī resides. 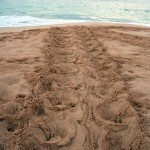 Courtesy photo: Hawaiʻi DLNR.